« Dedham’s 375th a Success! Haunted Dedham Part One- The Fairbanks House- is it still occupied? 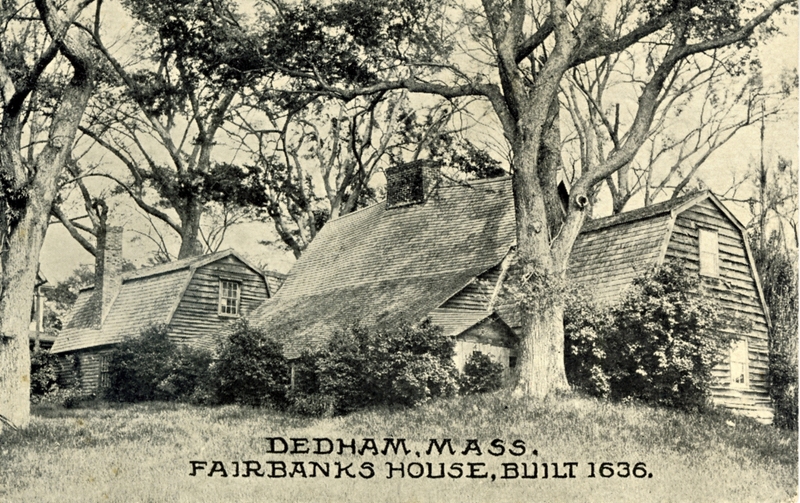 The Fairbanks House in Dedham has stood at the corner of Eastern Avenue and East Street for over 350 years, having survived arson attempts, threat of demolition, wood-boring beetles, a head-on collision with a car, and a family scandal in 1801 when Jason Fairbanks was convicted and hanged for the murder of his sweetheart Betsey Fales. Why has this particular house survived so many near disasters through the centuries? It could be that the house had a little added protection in the form of signs and objects placed within the dwelling over the centuries by superstitious Fairbanks family members, beginning with the original occupants Jonathan and Grace Fayerbanke. The deeply carved intersecting lines in the fireplace timbers pictured above are believed to be hex signs intended to keep both witches and fire from harming the occupants. Over the years shoes have been found in the ceilings and behind the chimney; placed there to trap evil spirits as they attempted to enter the home. Other early Dedham residents took similar measures to keep their homes and families safe. When the seventeenth century John Farrington house was renovated in the 1880’s, a spoon was found under the foundation, placed there by the builders to give the house strength. 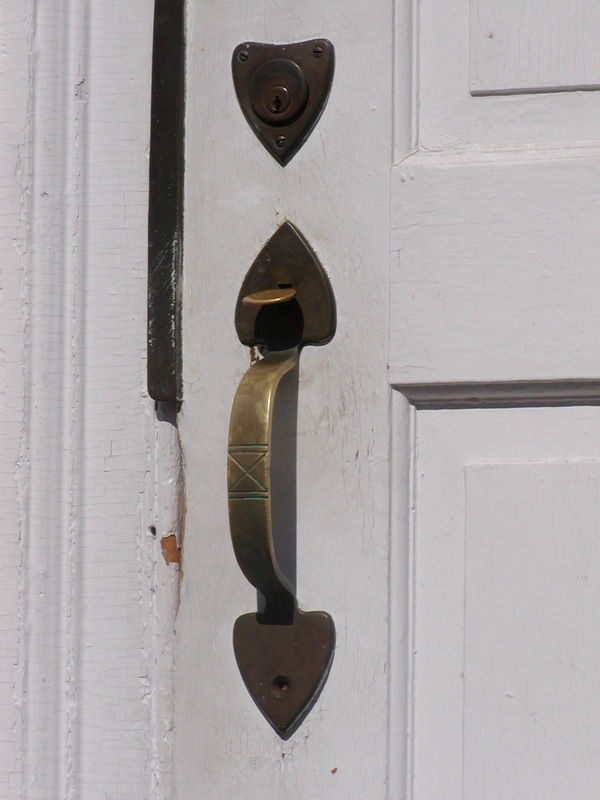 A “hex” sign can also be found on the front door latch of the Dedham Community House, built for Judge Samuel Haven. 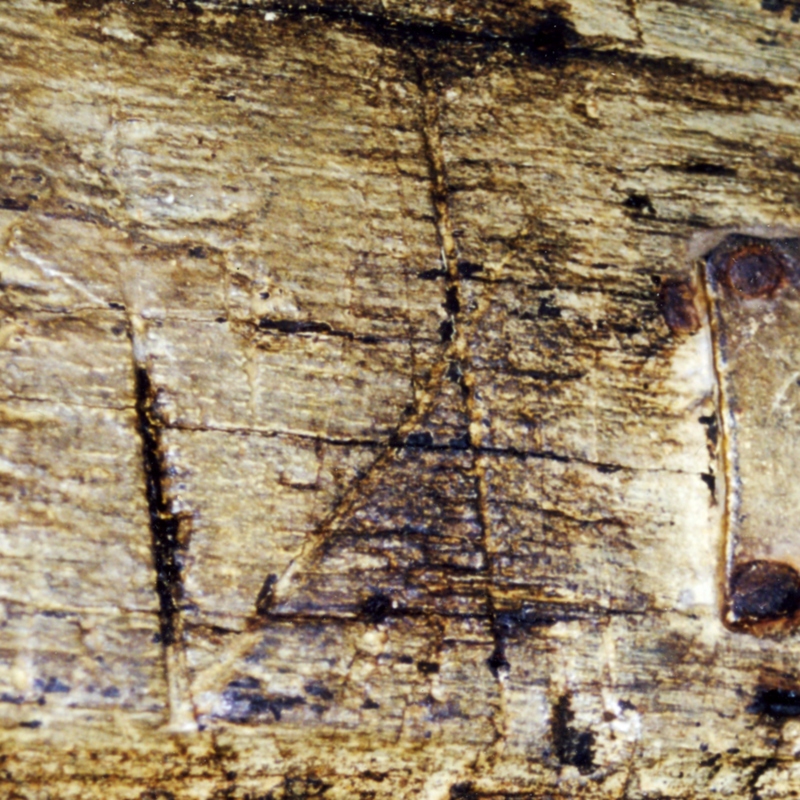 A nearly identical mark found on the door latch of a house in West Brookfield, Massachusetts inspired the name of the restaurant now operating there- The Salem Cross Inn. The Community House was built in 1795, long after the witch hysteria had faded from Massachusetts, and so the hex mark may be nothing more than a decorative touch added by the ironworker who crafted the latch. Last fall, paranormal investigators from The Atlantic Paranormal Society (TAPS) spent a night in the Fairbanks House, looking and listening for signs of paranormal activity. When the team checked their recording equipment afterwards, they reported hearing footsteps, voices, and a child’s laughter. They returned again in April and recorded quite a bit of activity, convincing them that there was some kind of supernatural presence in the house. If you’d like to do your own paranormal investigation, you’d better get there soon- the house closes for the winter at the end of October. This entry was posted on October 2, 2011 at 9:17 pm and is filed under History/Mystery. You can subscribe via RSS 2.0 feed to this post's comments. You can comment below, or link to this permanent URL from your own site. Spooky reading this close to halloween…and Dedham? is that close to Oxford? I think I visited in 2004. I wake up every day looking for Contentment and go to bed haunted by the thought that there might never be a part 2.
i hope you haven’t given up on this blog.